By next year, 15 of the company's Airbus A330s will be reconfigured under the new design to feature 36 business seats, 21 premium economy seats and 167 economy seats. Business class passengers will see the biggest upgrades, with new two-meter long lie-flat beds and sliding panels designed to provide extra privacy between seats. They'll also be privy to an open bar policy, with a fully stocked self-serve bar. Both business and premium economy class passengers will also be greeted with new amenity kits filled with toiletries from Clarins and a glass of champagne. 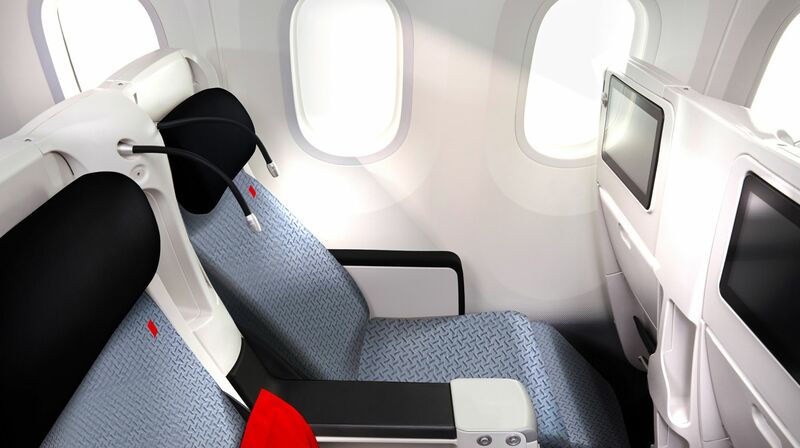 Seats in both economy and premium economy cabins have also been widened slightly for more space between passengers. The new service will be made available on flights from France to destinations like Accra, Ghana, Ouagadougou, Burkina Faso and Houston, Texas this winter.